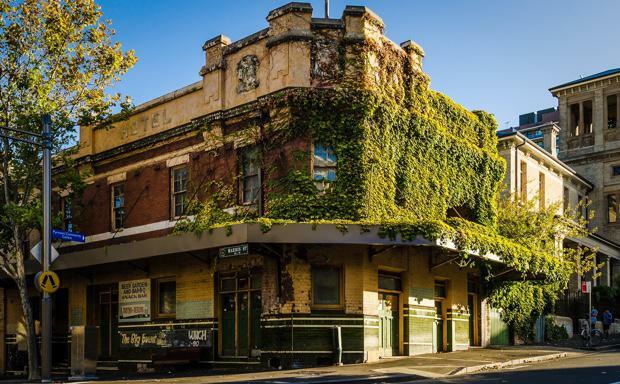 The heritage-listed Terminus Hotel at Pyrmont in Sydney has been sold by Auswin TWT for around $5-Million. Zoned B4 Mixed Use, the hotel provides an opportunity for multiple bars, dining and accommodation options. The Expression of Interest campaign for The Terminus Hotel was conducted by Andrew Jolliffe of Ray White Hotels Australia and Steven Tsang and James Aroney of JLL Sales and Investments NSW. Mr Jolliffe said the successful purchaser identified with the significant character of the property, and is understood to be considering a number of uses, including the reactivation of the licensed premises. Mr Tsang said more than 60 private inspections were conducted with hoteliers, developers, owner-occupiers and community groups. “The fascination with the historic property generated offers from both domestic and offshore groups who were attracted to the mystery surrounding The Terminus Hotel, the Wakil family who were the previous owners, and the opportunity to purchase a Pyrmont icon. Rest assured the property is likely to continue to create conversation and further interest for years to come,” Mr Tsang said. Auswin TWT will still retain the 2,300 square metre carpark on the south-western side of the hotel where it plans to develop luxury terraces. Auswin TWT is also awaiting approval of a DA for a prestigious mixed-use development at nearby 495 Harris Street Ultimo which will contain 210 apartments and ground floor retail/commercial space. Built in the early 1900s Federation Style, the hotel was originally called The Cooper’s Arms Inn but took its current name in 1911 in reference to the tram service which terminated on Jones Street. The hotel retains many original features including the red brick façade and the distinct parapet skyline detailing. Despite remaining uninhabited for the past three decades, the interiors maintain the charm of a bygone era with their metal ceilings and ornate floor and wall tiling.